Don't forget to sign our guestbook ! On August 2012 some former pupils of María de Lourdes started the internet television channel called: “Voces de México”. "Voces de México" is exclusively dedicated to the traditional Mexican music and every Wednesday at 21.00 o’clock (Mex.time)they are broadcasting. 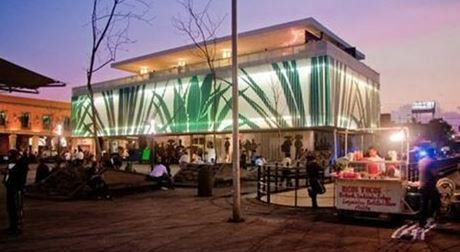 It is transmitted from the Museo del Tequila y Mezcal on the famous plaza Garibaldi, the square of the mariachis and there is free admission! A very nice initiative to keep in that way the authentic Mexican music alive. Every week there is one other singer / vocalist guest in the programme. 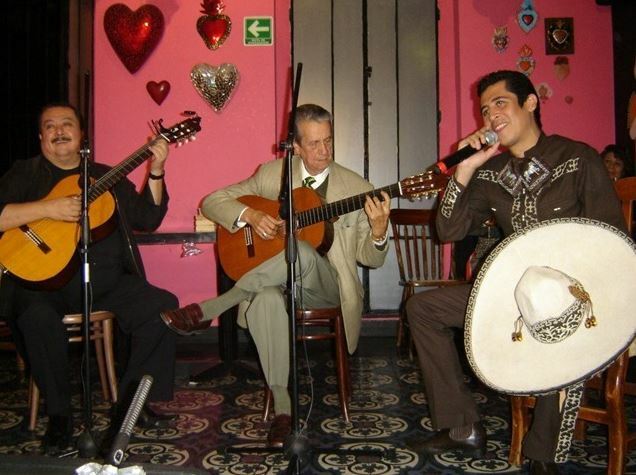 The driving forces behind " Voces de México " are Itzel Hernández and her brother Ramiro Hernández , guitarist George Nacer and as Managing Director Salvador Abad. In November 2012 and 2013 there was a tribute in this programme to María de Lourdes, related to her death on the 6 of November 1997. Along with Itzel and Ramiro Hernandez, singers as David Algiers, Claudia Sierra, Cecilia Gallardo and Azucena & Cecilia, were participants in this tribute, each and every one were members of the "Grupo Impulsor de la Música Representativa de México.," a group founded by María de Lourdes in 1988 to encourage and support young singers. Tribute to María de Lourdes 2013. With David Argel, Claudia Sierra, Ramiro Hernández, Itzel Hernández, Elías Torres en Cecilia Gallardo. 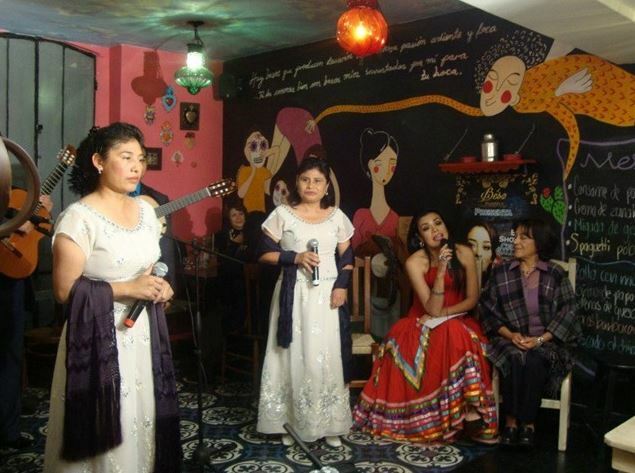 With La Azucena y la Cecilia. With Jorge Nacer, Elías Torres en Emilio Rodriguez. When you are a fan of Mexican music and have the desire to sponsor the objectives of our Foundation or want to donate: Send us an E-mail, so we can contact you !